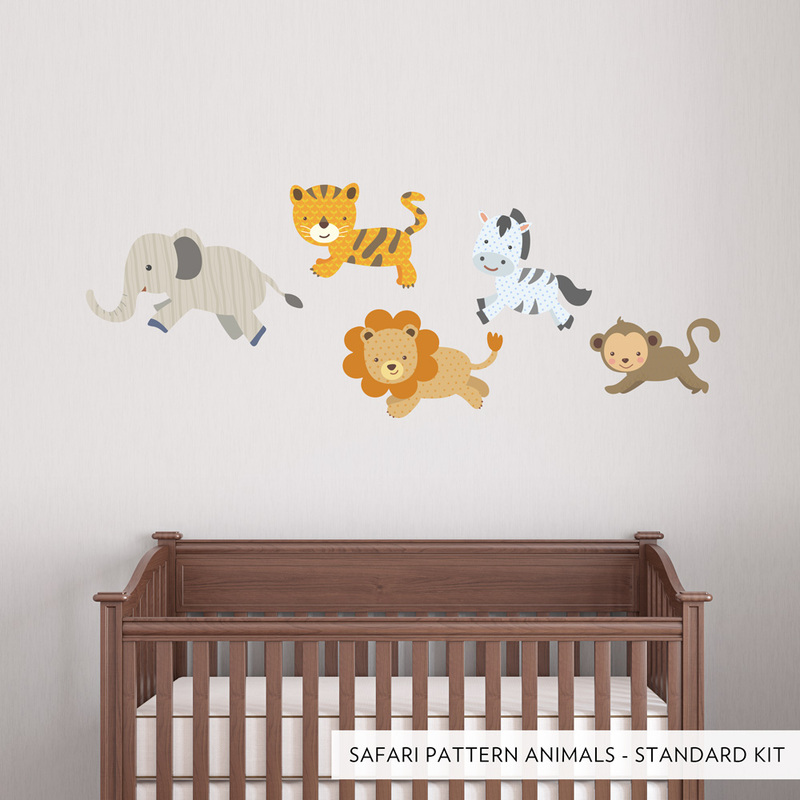 Go on an exotic trip to the African planes with these patterned safari animals! 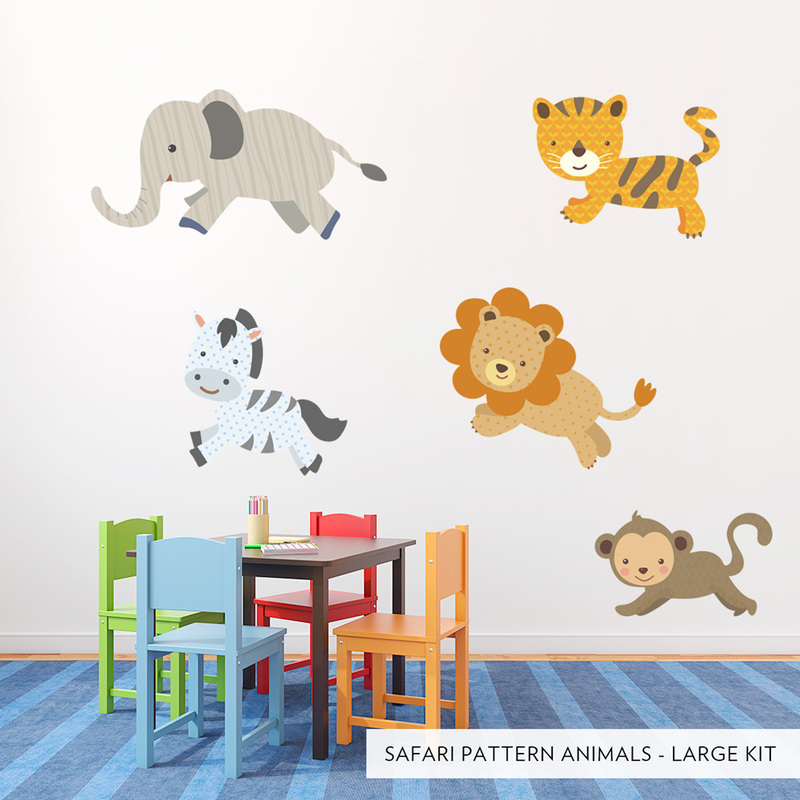 Experience them up close and personal as they roam the walls of your room. Perfect for kids, nurseries, and classrooms. 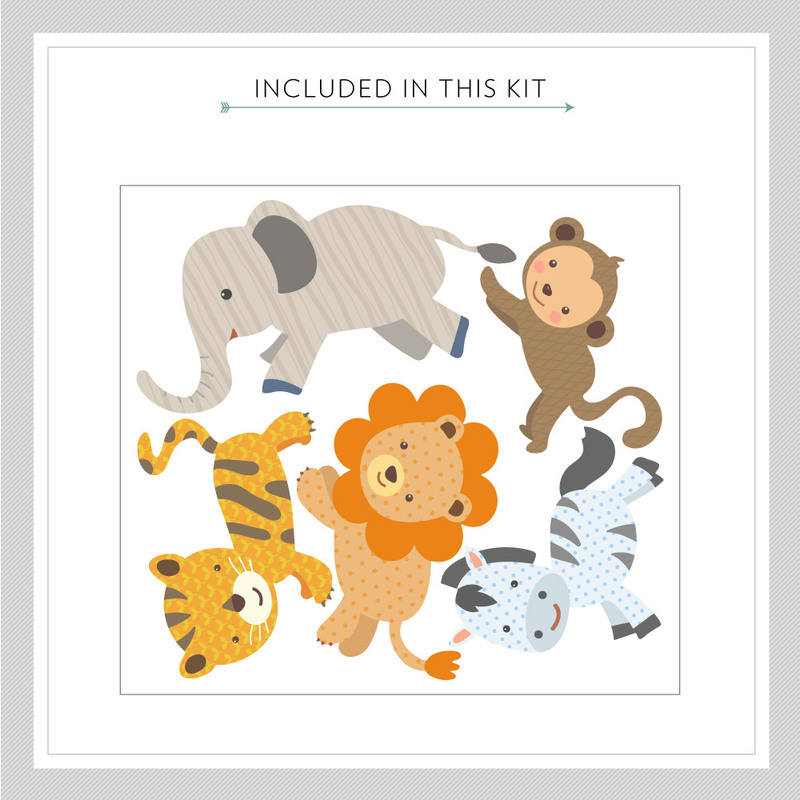 Available in 2 kit sizes. Please note: Colors may vary slightly from the image above.